I've been associated with the Philips brand now for a number of years and I really like what they do. 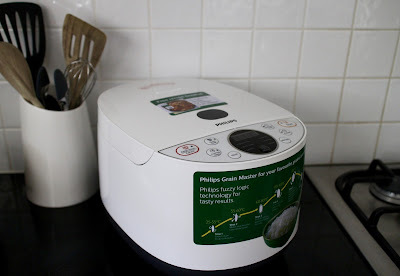 You may remember my previous reviews of the Philips Saeco Exprelia Coffee machine and the fabulous Philips Airfryer. 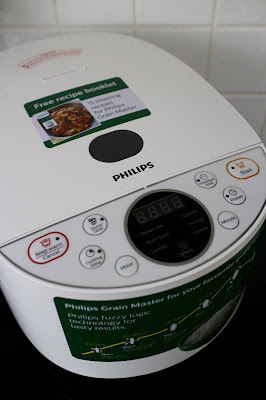 So it's only fitting that I introduce the new Philips Grain Master. 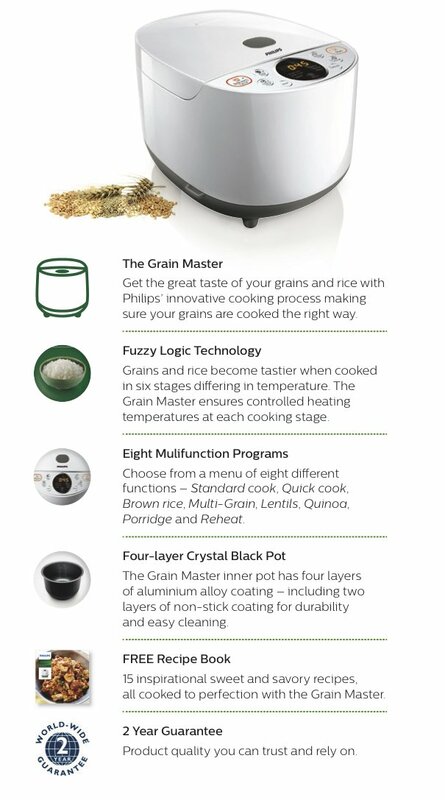 Using a unique cooking method Philips have coined 'Fuzzy logic technology' the master uses a 6 step cooking process which results in the perfect ready-to-eat grain. So far we have made lots of rice - Jasmine, long-grain and medium grain white rice, black sticky rice and quinoa. 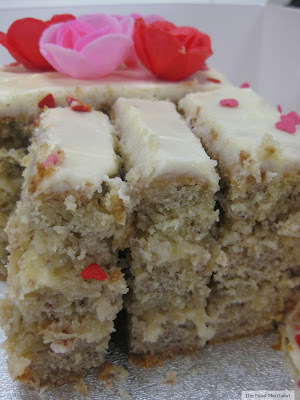 All have turned out perfectly. Jasmine rice with gluten free salt & pepper squid. The first thing I noticed about the actual unit is that it is super light to move around it also looks great and when operating it is as quiet as a mouse. I really like that there is an express 'Quick cook' function for rice too which cooks plain rice in just 25 minutes. I absolutely love that it cooks perfect rice ( even Mr was impressed) as well as quinoa and tapioca pudding.The free recipe book included has some great recipes including paella, risotto, salads and puddings. You can also pre-set the master so that your chosen grain is ready when you need it. The pre-set function is available from 1 hour up to 24 hours. I can't wait to use the pre-set function in Winter and wake to perfectly cooked oats. If you are looking for the perfect kitchen appliance this Christmas then make sure you check out the The Philips Grain Master. It retails for $159 but check online and in-store for specials leading up to Christmas.